This is on fabric. 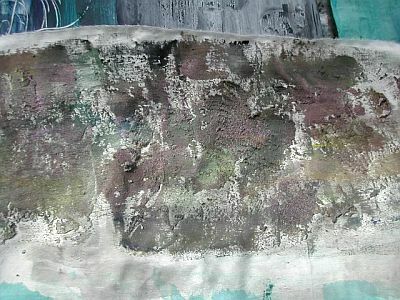 It is acrylic gel medium mixed with sand, and also white gesso mixed with sand, and you can spread it on and make all sorts of textures in it. Then I painted it when it was dry with acrylics and some lumiere paints too. Apparently you can stitch on gel medium so I’ll try it sometime.